A downturn in the housing market is now starting to affect new car sales. A slump in house prices across the country is leading Australians to tighten their belts and it is starting to affect another major retail environment. New car sales have now slowed for the seventh month in a row in Australia, the longest stretch in several years according to the latest Vfacts data from the Federal Chamber of Automotive Industries (FCAI). 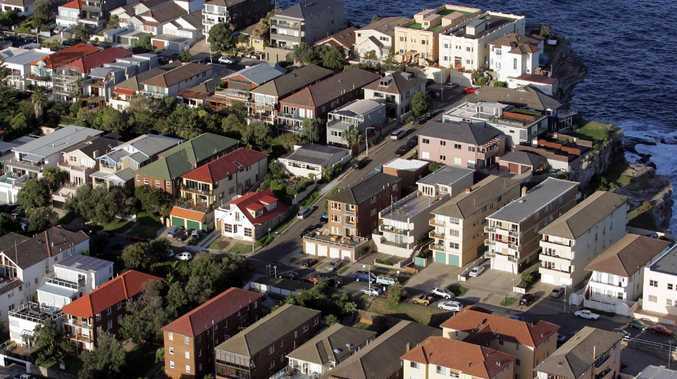 According to Westpac's latest consumer sentiment index major household buying intent is at the lowest level since November last year and concerns about interest rates and house prices are weighing heavily on households with a mortgage. NSW - hit hardest by a reversal in house prices - is also showing the biggest drop in new car sales. In October the country's largest new car market dropped more than 9 per cent compared to the same month last year. NSW is down just less than 5 per cent for the year. Fewer new cars found a home in October than the same time last year. Victoria is also showing signs of weakness with a more than 4 per cent drop in October. However, the southern state is holding flat for the year, as is Tasmania. In all other states and territories, the market went backwards. The decline in Sydney and Melbourne housing is affecting the top end of the car market which has been hit especially hard. The five biggest luxury brands, Audi, BMW, Lexus, Land Rover and Mercedes-Benz notched fewer sales for the month and the year. However, FCAI boss Tony Weber believes the market is holding up fairly well despite the housing downturn. "Total sales so far in 2018 are a modest 1.3 per cent below the same number during the 2017 record year. "This demonstrates that the market is broadly holding firm, despite evolving consumer preferences demonstrated through the shift from passenger vehicles to SUVs. 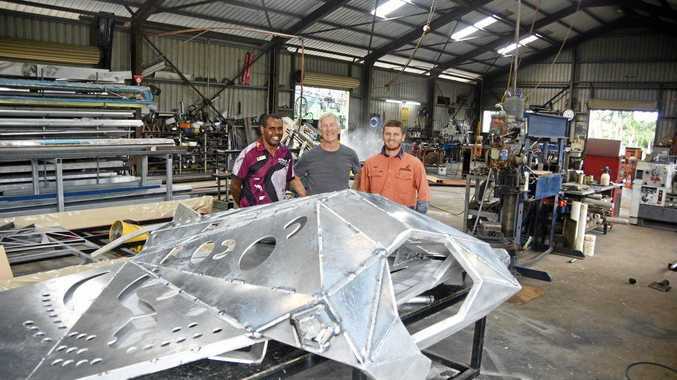 "Given the slowing housing market and the current drought, the overall result demonstrates the resilience of Australia's competitive automotive market." Gains experienced after a strong start to the year have quickly turned to deficits as the year has gone on. Private sales led the downturn in October with regular buyers turning away from passenger cars in droves. Tough sell: Small cars experienced a big downturn in October. Nearly every category of passenger cars ceded ground in October. Large cars continued their downward spiral with sales dropping by 65 per cent. 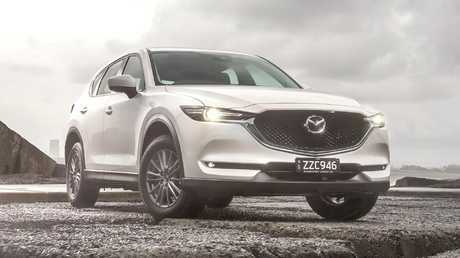 Small cars - Australia's second most popular segment - declined a whopping 22 per cent or more than 4000 sales compared to the same month last year. 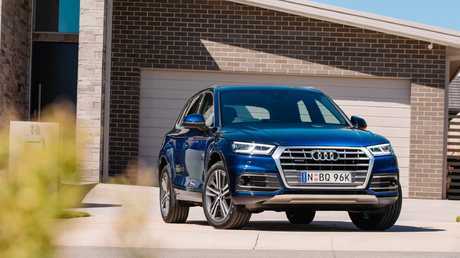 The acceleration from passenger cars to SUVs has sped up in recent months with the high-riders now accounting for 43 per cent of the overall market. 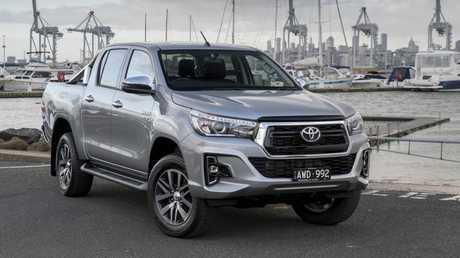 The Toyota HiLux is the best selling vehicle in the country. At the top of the sales charts it is business as usual for utes. The Toyota HiLux (4401) and Ford Ranger (3511) filled the top two spots. 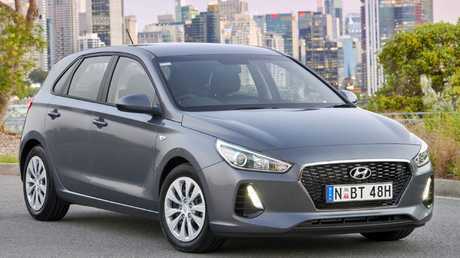 Next were three small cars, the Toyota Corolla (2663), Mazda3 (with 2094, the only model to increase sales in October) and Hyundai i30 (2049). SUVs and utes rounded out the top 10. In another indicator of the changing automotive landscape, former local manufacturer Holden's market share has dropped dramatically to 5.2 per cent, down from 7.1 per cent the same month last year. Burgeoning brand Kia is only about 800 sales off surpassing the Lion brand in the yearly sales charts. Mid-size SUVs are the biggest selling segment in the country. However, one good piece of news is that much like the housing, the new car market is turning in favour of buyers. Some very sharp deals should be available throughout December so that dealerships can meet yearly targets and earn bonuses.